Each sword features black scabbard and wrapped handle with white accent. Spoke metal hand guard. For Display Only. 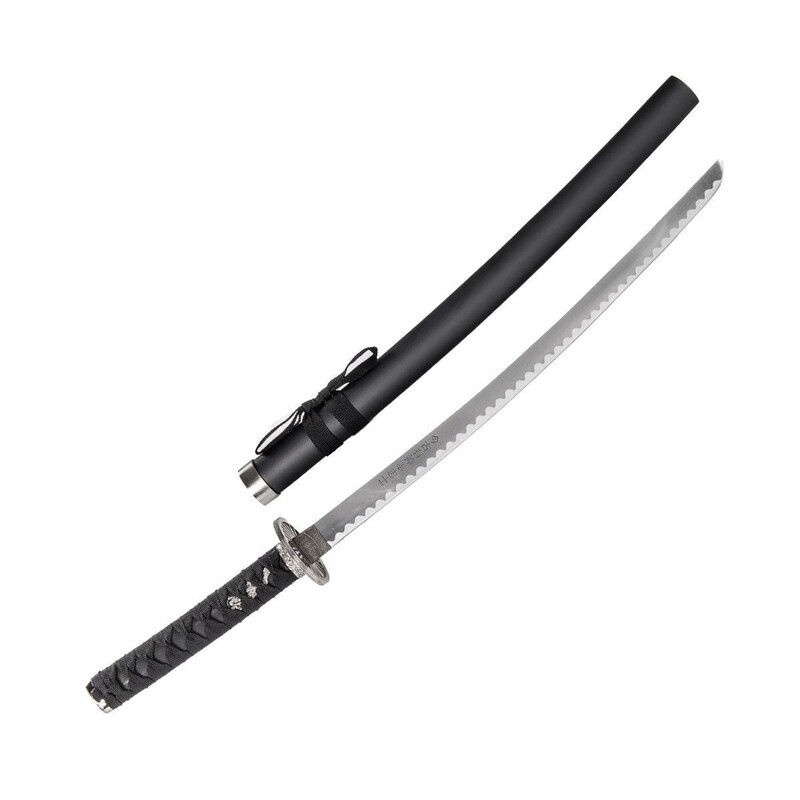 Katana:26 1/2 inch Blade, 38 3/4 inches Overall Length. 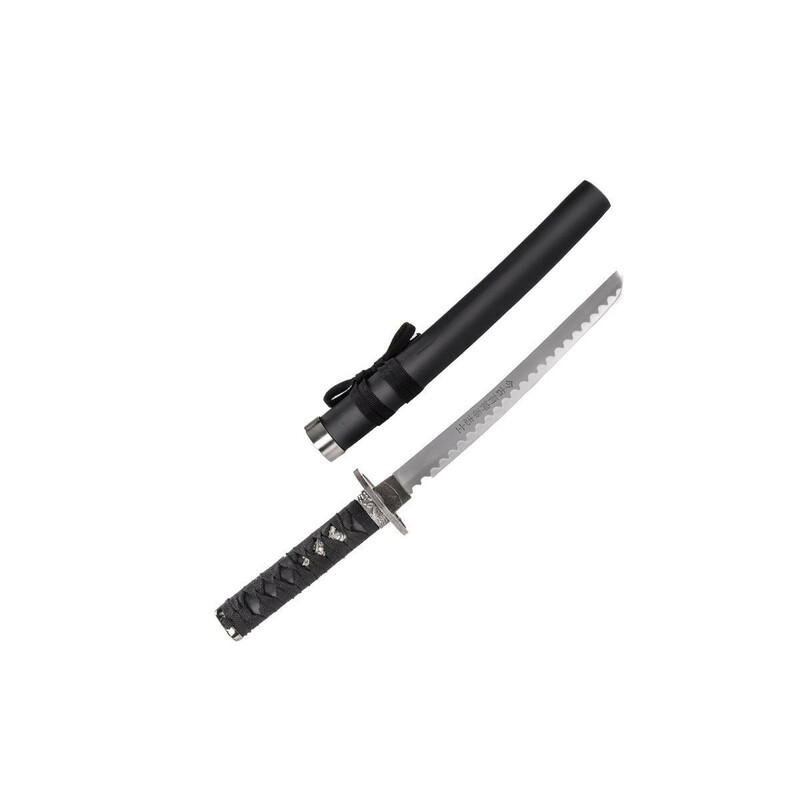 Wakizashi: 19 1/2 inch Blade, 30 inches Overall Length. Tanto: 11 7/8 inch Blade, 21 inches Overall Length. ** Note: Due to state laws, we are unable to sell this item to the following states: CA, MA, AR and NY. 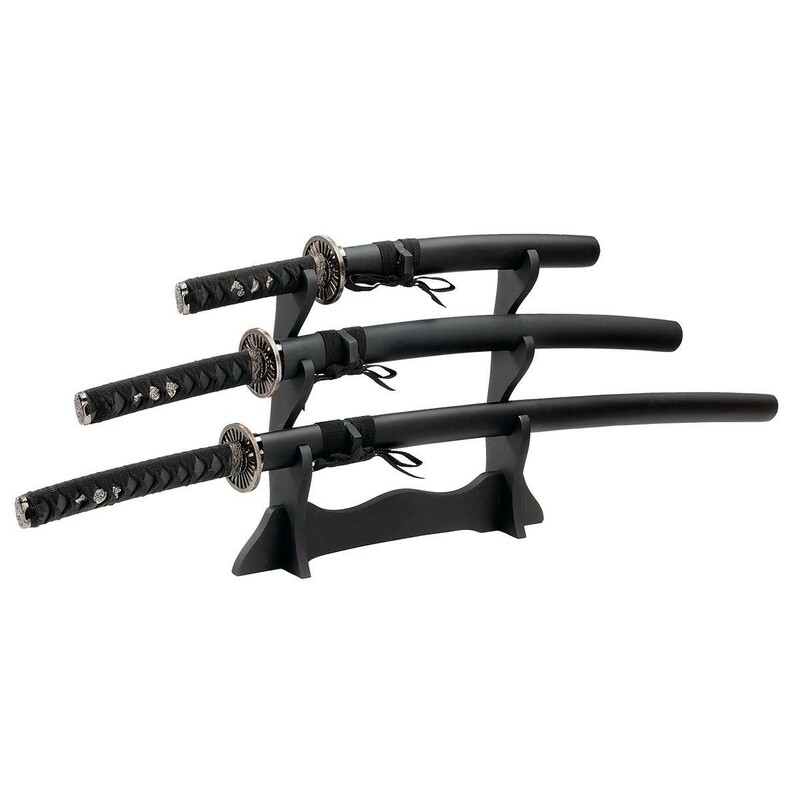 Beautiful four piece traditional samurai sword set includes: Katana, Wakizashi, Tanto and black wooden stand. Japanese Kanji etched on each stainless steel blade. Blades are sharpened with serrated edge look.